Our compact industrial storage cabinets has been tailored towards solving all the storage needs found in factory, warehouse and workshop environments. 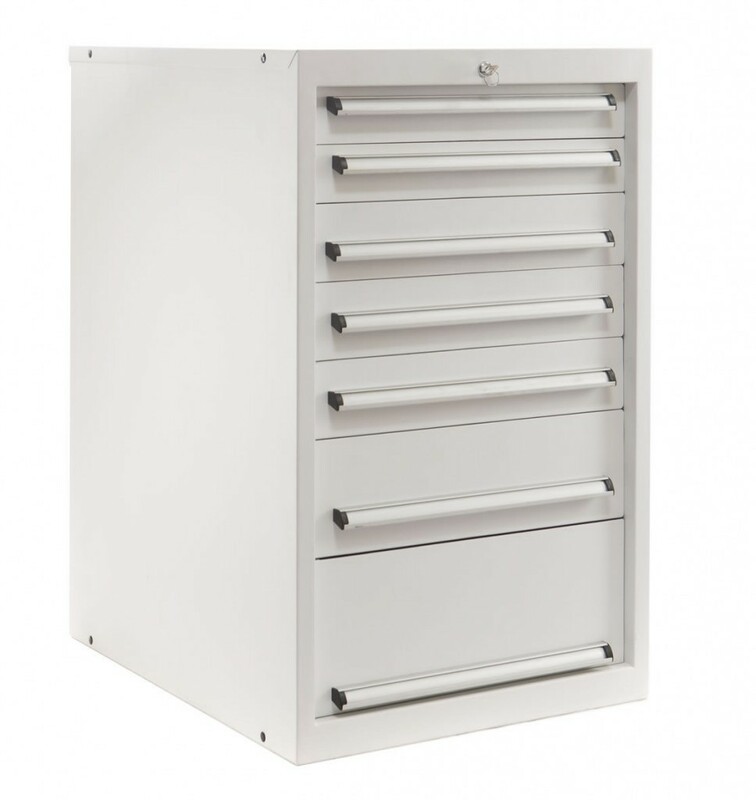 The storage cabinets provides space-saving, clearly surveyable and easily accessible for tools, measuring equipment, gauges, products and parts. It effectively ensures the safety, maintenance and durability of valuable tools and equipment. All doors and drawers can be supplied with locks. In its modularity the system offers a wide range of cabinets, housings, drawers and a comprehensive line of partitioning material and accessories. It allows for almost any possible configuration. Drawers and shelves, heights and widths can be combined to best suit all customer requirements.